SAE J30 R6 approved Nitril Rubber fuel hose sold by the meter length. this fuel hose is fully compliant with SVA regulation and most types of fuel. Our Push-On swivel hose end fittings can be used with this hose. 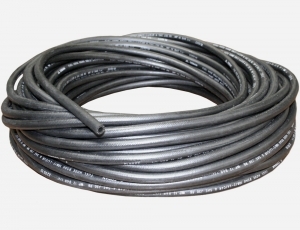 this type of hose is Nitrile rubber all the way through, and has a single ply of fabric reinforcement. -Suitable for unleaded fuels, Methanol, Ethanol, and diesel. 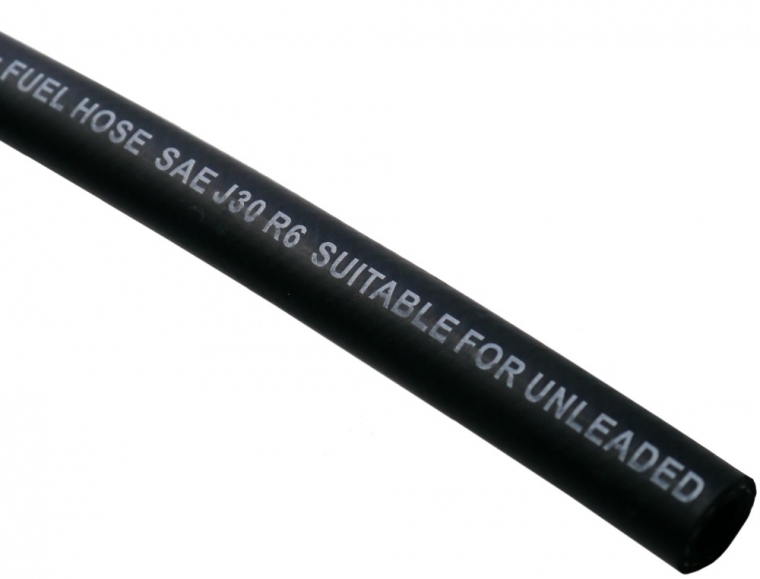 The hose has SAEJ30R6 markings, we do not recommend this type of hose for Bio Diesel.